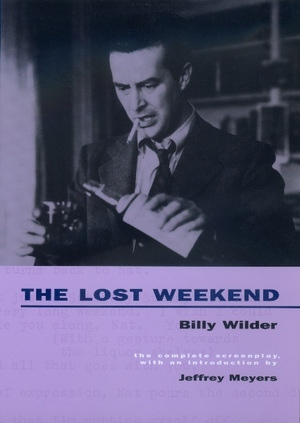 The Lost Weekend swept the 1945 Academy Awards, with nominations for Best Film Editing, Score, and Black and White Cinematography, and Oscars for Best Picture, Director, Actor, and Screenplay. It also received numerous awards at the Cannes Film Festival and the Golden Globes. Based on the novel by Charles Jackson, a work that many in Hollywood had thought unfilmmable because of its relentless grimness, The Lost Weekend was one of the first films to explore the devastating effects of alcoholism. Ray Milland was cast against type as Don Birnam, a writer plagued by depression and self-doubt who, as his alcoholism progresses, slips into a horrifying downward spiral of lying, begging, stealing, and madness. Milland's riveting performance won him an Oscar. Jane Wyman also delivers a powerful performance as his faithful girlfriend, Helen St. James, whose selfless love offers Birnam a hope of redemption. This facsimile edition of The Lost Weekend not only reveals the genius of the film but also illuminates how the script stands alone as a rare, wonderful piece of writing. Jeffrey Meyers's introduction looks at the transformation from novel to film and examines Wilder and coauthor Charles Brackett's methods as collaborators. Readers will gain important insights into the craft of screenwriting, and the personality and methods of one of Hollywood's greatest directors. Billy Wilder has been nominated for twenty-one Academy Awards and has won six Oscars. Jeffrey Meyers has written many books and articles on modern American, English, and European literature.